This led me to think about the rationale of charging cameras. 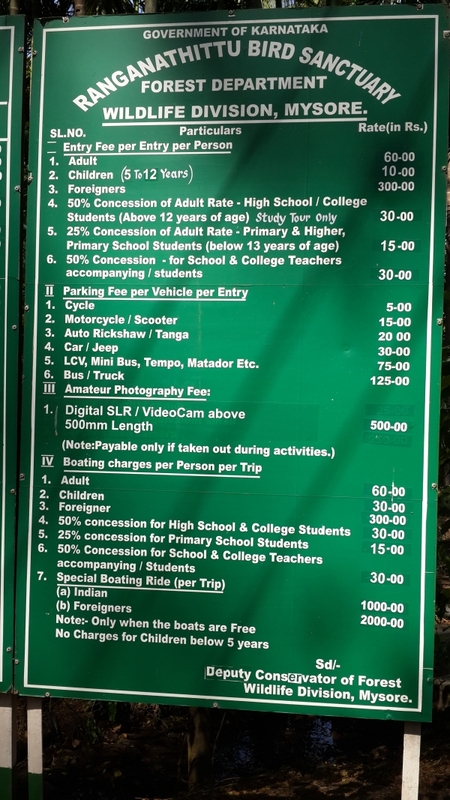 And then the separate charges for SLR cameras were introduced. but could get only limited insight from the link here. papers and earn money or conduct commercial trips based on their experience. by photograph he pays income tax for it (considering it is done legally). 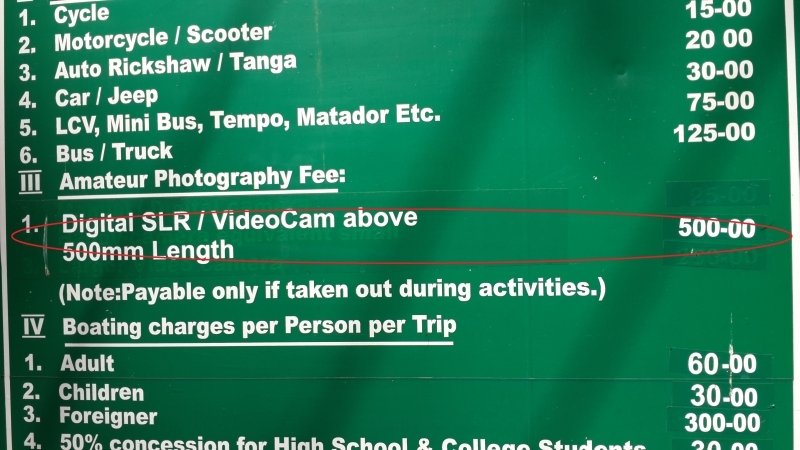 500 rupees to take his camera in while it is free for the later!! serial shooting) then there is no harm in charging extra. Let me know your opinion about the same. Not only Ranganthittu, the same was the case in BR hills, and I'm sure in many other places of attraction! The forest department is really doing anything and everything to monetise beauty of nature. Not sure if people will continue to visit such places if this is not stopped! True. Since it is imposed by forest department, I expect it to be applied everywhere!! That's right!! especially where I am at receiving end!!! !